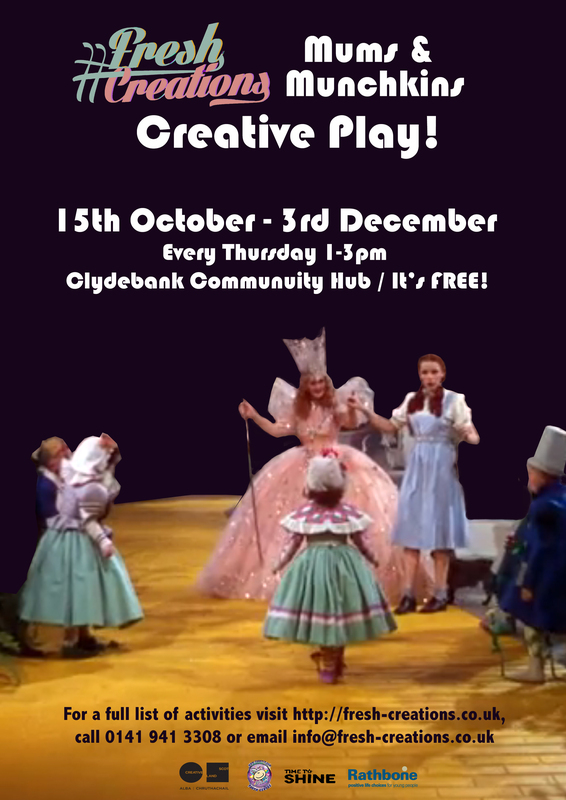 Mums & Munchkins #FreshCreations: Creative Play! The Mums and Munchkins group is designed to help out young mothers with their child and also offer a wide variety of advice on motherhood and the challenges you may and will face. This is for any mothers under 25 years of age who would like to take part in workshops with their young one. Photography – learn how to take the perfect portrait of your little one! Fashion Design – make a Halloween costume or mask! Make Christmas Cards with a family photo!